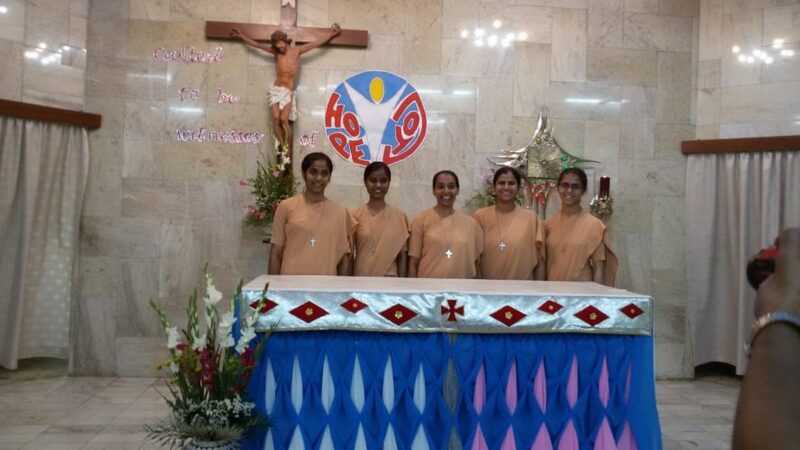 This morning God gifted us five Sisters in the person of Sr. Vencila Dimekar, Sr. Benzina Vayaghar, Sr. Sangeeta Marvi, Sr. Akshita Lobo and Sr. Jesmine Fernandes. The Eucharist was celebrated by Fr. Godfrey D’Souza, the Provincial of Mumbai Province at Don Bosco Parish, Nashik. 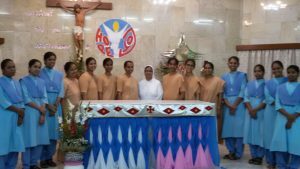 Along with our Sisters, five Novices of the Mumbai Province donned the cassock and 20 ADMA members were initiated into the Salesian Family. We had the joy of having Sr. Rita Dora Thomas, our Provincial, Sisters and the temporary professed Sisters too. 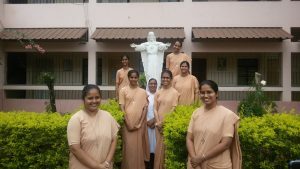 On this their auspicious day we thank God for Sr. Salome D’Souza who helped our 5 newly professed Sisters to choose Christ. 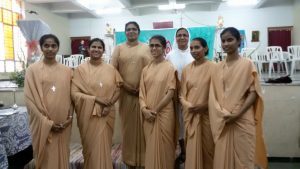 We are also grateful to God for Sr. Jaya Pedthala and for Sr. Reshma Nune for assisting them on their Religious journey. As we celebrate the 150th anniversary of the consecration of the Basilica of Mary Help of Christians in Turin, we thank God for each of the Living Monument of Gratitude to Mary Help of Christians ( The Daughters of Mary Help of Christians) that we by our lives may continue to give glory to God and perpetual thanks to Our Blessed Mother for all that She accomplished through DB and MM and now through each of us.